Kitchen Monki is an online community where users can make friends, create grocery lists, discover great recipes and more. 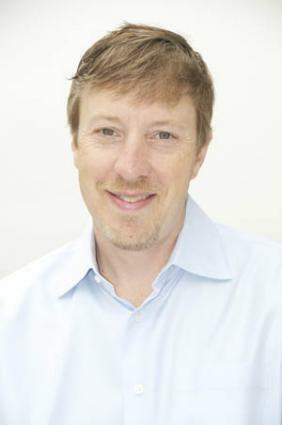 The site was founded by Sam Kinney as a way of integrating his passions. A father with three sons, Kinney understands the need to organize recipes, shopping lists and more. Love To Know sat down to chat with Sam Kinney about the Kitchen Monki community, recipe planning, creation, sharing and even shopping. 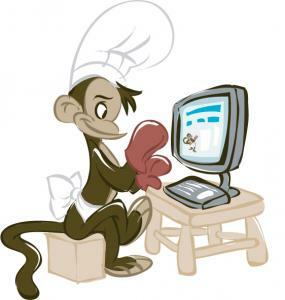 Love to Know (LTK): What sets Kitchen Monki apart from other recipe sites? Sam Kinney (SK): Kitchen Monki is about making recipes easier to use, not just find. That's why the toolkit is focused on grocery list preparation, meal calendar planning, and making recipes mobile and shareable. We call the recipes on the site "live recipes". Live recipes are scalable, dynamic and smart, whereas many other sites offer recipes in a dead format ("one-size-fits-all, click-to-print"). Lastly, our site is focused on helping cooks manage their OWN recipes, rather than search through other cooks' recipes. My family favorites - recipes that make up 80 percent of my cooking - aren't on other websites. I needed a way to organize my own recipes, and the 150-or-so recipes I've put in keep me coming back to the site. LTK: How can Kitchen Monki help users organize their cooking tasks? SK: While the Monki is a fun character, the user experience is very business-like. Our Recipe Explorer works a lot like iTunes, making it easy to find or return to a recipe with a few clicks or keystrokes. We felt that if consumers could manage enormous music collections, this metaphor would work well for recipes. Planning follows a simple linear path: (1) find recipes and add them to queue, (2) derive a grocery list from the ingredients in the recipe queue, (3) shoot that list to my mobile phone via text message and (4) check off items aisle-by-aisle in the store. Users also have the option of organizing their queue onto a calendar. LTK: For the first time visitor, where do you suggest they begin? SK: An easy way to get started is to build a small queue of recipes, generate a list from them and send that link to your phone. If you like how easy that is, add a few of your own recipes each week into Kitchen Monki and integrate them into the shopping lists it creates (and meal plans, too!). Because the grocery list preparation and mobile shopping features are so fast and dependable, I actually find it easier and quicker to enter recipes than traditional pen-and-paper list planning. There's a slight learning curve to entering recipes because we allow users to format their recipes step-by-step with their chosen ingredients corresponding to steps for creation. However, new users can always refer to the tutorial video that will walk them through the entire process. LTK: How does the site's Quick Meal Planner feature lend itself to building nutritious meals on a busy schedule? SK: Using the Quick Meal Planner doesn't always equate to more nutritious meals but, especially in conjunction with our Automated Grocery List Manager, it can. Together, the tools help you plan ahead for the types of meals you should be eating. By using the automated Grocery List Manager, you can build an aisle-by-aisle list that will enable you to enter the grocery store with a laser focus, and avoid being derailed by the clever in-store marketing of junk food. I think the tools resonate with people who want to eat healthier, but fall prey to their favorite junk foods because they don't have a game plan for what they really need. Without preparation, shoppers tend to wander each aisle and make regrettable purchases. Aisle-by-aisle lists, like the type generated by the Grocery List Manager, can eliminate wandering that may lead to those types of purchases. In addition, an aisle-by-aisle focus in the grocery store makes for quicker trips in and out of the market. LTK: The grocery list feature is unique in the program. Was it a part of your initial design or did that evolve over time? SK: In fact, creating an automatic grocery list was the primary objective behind the site. Everything else we've done derived from that goal. The features that evolved were more about the recipe sharing on Facebook, Twitter, and with other Kitchen Monki users. Our belief is that few cooks need hundreds-of-thousands of recipes, but would be better served by having the tried-and-true recipes from a dozen foodie friends. LTK: Can you limit who you share your recipes with? If you want to put family recipes together for you and only certain others? SK: Recipes can be private (known only to oneself), public (known to everybody), or shared with specific other users. This is a perfect way for family to share secret recipes among themselves without sharing them publicly. We have been surprised that nearly half of user recipes are entered as "private." In many cases, we believe this is because users are uploading very basic recipes simply to make grocery shopping and meal planning easier. I have a public cheeseburger recipe on Kitchen Monki. I don't need it to cook, but use it to ensure I don't forget buns, lettuce, cheese, and all the other goodies. Another reason the private recipes might be so popular is to keep them from being nabbed (and reposted) by popular recipe sites that scrape recipes and rely on aggregating content. Foodies hate for their recipes to be reposted without consent. LTK: Where did the idea come from? SK: I sought to streamline my efforts in the grocery store and kitchen - through the use of automated lists and calendars - so that I would cook more often for my three boys. I also wanted to immortalize some of my family's favorite recipes passed down from my parents. I don't believe my kids' generation will ever use a card file or cookbooks when they can have the whole repertoire wherever they have a browser. It has been a pleasant surprise that our site has also turned me into a better cook, because I try more things, have more ingredients on hand, and cook more often. LTK: Do you have favorite recipes that you've discovered using your service? SK :Udon Noodles with Shrimp from my friend Vincent. That one is in the regular rotation because my son loves it. LTK: How would you sum up Kitchen Monki in three words or less? Love To Know would like to thank Sam Kinney for taking the time to chat about the site and wish he and Kitchen Monki continued good luck and success. Be sure to also check out Love To Know's review of the site, community and more.